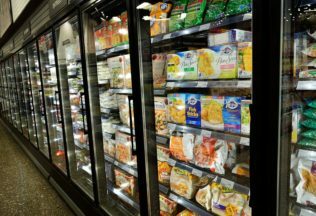 A study has found 26 per cent of US grocery shoppers are purchasing items from the frozen foods aisle more frequently than they were in 2016. The increase is led by Millennials and families with kids says the publisher of the study, sales and marketing agency, Acosta. Senior Vice President at Acosta, Colin Stewart, said competition in frozen foods is heating up as Millennials turn to frozen foods as a healthy yet hassle free way to eat. “Frozen food is certainly its own umbrella category, but its versatility allows it to span multiple mealtime occasions, which is why there has been a lot of room for growth and innovation across items and brands,” Stewart said. Acosta’s study found 89 per cent of studied US Millennials viewed frozen food as a quick dinner. Nearly 55 per cent of the studied Millennials say they will only buy a specific frozen food because they believe it to be healthier. Nearly one in three have purchased frozen food online. Stewart said when it comes to frozen food, the majority of consumers are looking for quick and easy options that provide variety and health benefits. “However, frozen foods are one of the few categories that are still more frequently purchased in store than online, so these items just might be the key to drawing shoppers from the perimeter into center store, as shoppers can check many items off their grocery lists at once,” Stewart said about US shoppers.